10. Mix thoroughly: Sam Stosur and Nenad Zimonjic sound like a winning pair for mixed doubles, and indeed they are. The 15th seeds won the title, defeating Chan Hao-Ching and Max Mirnyi in the final. Chan and Mirnyi were seeded 14th. The victory gave Zimonjic a mixed doubles Career Slam. Stosur won the Wimbledon mixed doubles title once before, in 2008, with partner Bob Bryan. 9. Gone viral: Serena Williams says it was a virus that caused her to become very weak and to develop hand-eye, left-right coordination problems when she and sister Venus attempted to play their second round of doubles. Of course, the incident brought out the worst in the thousands of people who live to smear the name of the Williams sisters, with one British "media outlet" even launching an attack on Venus. Then Martina Navratilova stated how unlike a viral infection these symptoms were (true, that), and she was attacked by Williams fans who immediately, and ridiculously, assumed she was launching an accusation (somehow, Pam Shriver--who said the same thing--escaped without being verbally abused). Williams says she's fine to play in Sweden; let's hope so. The incident was scary. 8. Czech this out: It turned out not to be a repeat of 2011, when Czech players swept the singles, doubles and mixed doubles titles, but the Czech Republic's showing at this Wimbledon was certainly worth noting. Petra Kvitova, of course, won the singles championship, beating three of her countrywomen along the way. Then there was Lucie Safarova, who made it to her first major semifinal, and there was also Barbora Zahlavova Strycova, who stylishly took out 2nd seed Li Na, and also defeated Elena Vesnina and Caroline Wozniacki. She reached the quarterfinals, and while stopped by Kvitova, Zahlavova Strycova performed well against the eventual champion. Also getting noticed was qualifier Tereza Smitkova, who took out the likes of Coco Vandeweghe and Bojana Jovanovski. 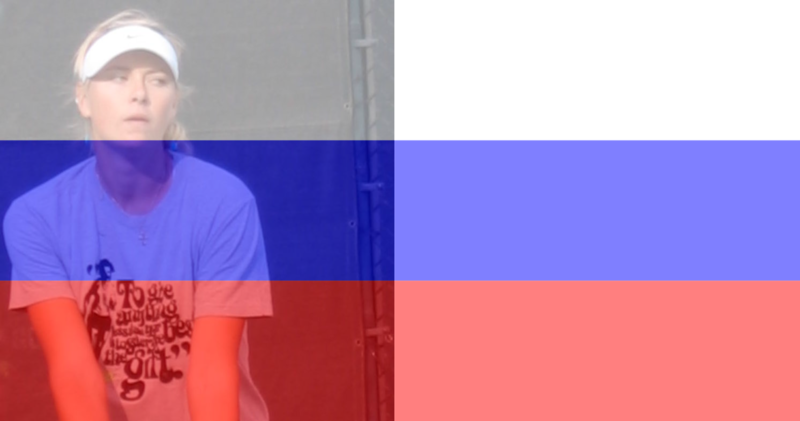 Smitkova made it all the way to the round of 16, then fell to Safarova. 7. Pack enough for a week: Top seed Serena Willams, the hands-down favorite to win the tournament among members of the tennis press, went out in the third round to Alize Cornet. Preceding her to the door was 2nd seed Li Na, who lost to Barbora Zahlavova Strycova in the second round. 6: You say "shedule," I say nonsense: There is a lot of rain at Wimbledon. Always. There is also no play on the middle Sunday. Changing that tradition is out of the question; after all, it makes too much sense. And then, when big matches needed to be played in "catch up" mode, of course, it was the WTA stars who had to play their matches at the same time. There was at least one incident when a match could have easily been moved and not postponed, but it wasn't. The ultimate victim of this chaos was Angelique Kerber, who went for over two and a half hours against Maria Sharapova in a very physically and mentally taxing match, then had to show up at noon the next day to play in the quarterfinals. And yes, in sports, things happen, and players have to accept change. But some, if not most, of this dysfunction could have been avoided. 5. Touched by an Angelique: Angelique Kerber defeated 2004 champion Maria Sharapova 7-6, 4-6, 6-4 in the round of 16 in one of the highlights of this Wimbledon event. Kerber's win was gutsy, athletic, exciting, and inspired. It showed a mental toughness we don't always see in the German. Unfortunately, she would be too exhausted to adequately compete in the next round, but it was still a great win. 4. Genie in a bottle rocket: Genie Bouchard has reached the semifinals of the last three majors. At Wimbledon, she went one better and reached the final. She did have some good fortune in that two of her competitors (Kerber and Halep) were compromised in their movement, but she had nothing to prove, given her record for 2014. Besides, many a young player has lost to a more experienced, though compromised, opponent. Bouchard is one tough cookie, an all-surface prodigy whose attacking game seems to be especially cut out for grass. The tennis press got carried away with Bouchard at this tournament, with many of them declaring her the champion before she faced the totally in-form and deadly Petra Kvitova. That was irrational (and typical), and--for better or worse--served to feed the Genie frenzy that has swept the tour this year. It's useful to remember, though, that there is real talent and real determination behind the hype. I wish that Bouchard could ascend more organically, and--with that in mind--I think that her beat-down in the final may turn out to be one of the better things that happens to her this season. Reality is one of the best friends a champion can have. 3. Tested and found worthy: Venus Williams, the five-time queen of Wimbledon, showed up in a big way this year to fight for another Wimbledon title. She took it to Petra Kvitova in the third round, and the two-and-a-half hour match was amazing. There were only three break points in the entire match, which Kvitova won, 5-7, 7-6, 7-5. It would be a turning point for the Czech star, who obviously used her victory to settle her mind and to visualize herself as a Wimbledon champion. 2. A lesson in Italian history: Sara Errani and Roberta Vinci lost in the third round last year. Fighting Italians don't accept that kind of thing, especially when they're going after a Career Slam. They changed their style of play to accommodate the speed of a grass court, and they won the title. With the title came the Career Slam. Fighting Italians--they're priceless. 1. The Rock rocks the tennis world: Admit it--you just about gave up on her, didn't you? I'll admit it. But then she came alive this season, and I began believing in her again. 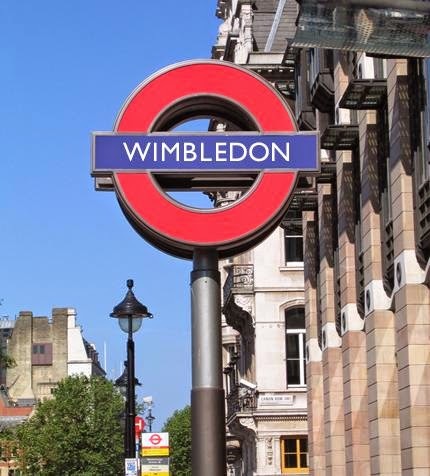 By the time she arrived at Wimbledon, there was a lot to believe in. Petra Kvitova moved through this tournament like the great grass court player that she is--surviving an out-and-out battle against Venus Williams, and putting the hurt on just about everyone she played. But she also got tested--by Williams, and by two of her countrywomen--which only served to strengthen her. Kvitova's biggest opponent was probably the tennis press, which was quick to predict her demise. Only she didn't fall. And even after she had put together stats that would put fear into anyone who was actually paying attention, the tennis press declared her a loser. What did she have to do, anyway, win Wimbledon? No problem. Kvitova came at her favored opponent, Genie Bouchard, with such force, it was as if Bouchard had been told there was a bit of a breeze, and then opened the door, only to be knocked down and slammed into the next county by a tornado. It was clinical. It was efficient. It was awesome. In one of the most glorious performances ever put on in a Wimbledon final, Kvitova blew the estimable Bouchard off the court, 6-3, 6-0. Diane, one of the reasons why Martina got so much flack is that for the whole of this tournament, her comments about Serena have been nothing but negativity. At one point she even compared Serena to Mike Tyson. She used a legitimate net play that Serena used as a chance to talk about how Serena is trying to use scare tactics. The woman is bitter and she hates women's tennis. About the only female player she likes is Petra and that is because Petra sees her as an idol. Whenever I hear her calling a women's match I find another stream. There is a reason Martina is sitting by the phone waiting for a coaching job and no one calls her. She is too negative. Thank you Karen Williams! I am so sick of the likes of Mary Carillo and Martina Navratilova trashing the Williams sisters. It's really disgraceful. Serena's symptoms were not those of a panic attack. I was sickened by the way both Serena and Venus were treated, but I've come to expect it. Anyone who had watched Kvitova carefully (apparently there were few, if any) for the three months leading up to Wimbledon would have known that she was winning matches in straight sets and that she was rounding into lethal form by the time she played at Eastbourne. There, unefeated, she demolished the opponents whom she faced until her withdrawal due to a sore hamstring muscle. From there on, with the exception of the Williams match, it was a series of escalating beat downs. Go Petra!! There was an account that Serena was suffering from vertigo but I have only seen that in one place. In any case, Kvitova was amazing this tournament! I sure hope she can keep it going through the summer - I enjoy her and her game and am not ready for another "Oh Petra!" drop. The way Wimbledon treats WTA is atrocious and should be embarrassing except that they seem to get off on it. Yes, and you don't exactly see the WTA doing anything about it, do you? Many of the pundits have suggested that Eugenie should have backed up to give herself more time. That would not have worked at all. Petra's accuracy was remarkable and, had Bouchard retreated, Kvitova would have had an easy time with acute angles for winners. McEnroe was right, nothing could have stopped the onslaught. I agree. Genie did everything she could do. Backing up would have just given Petra more space. Nasty draw for the Czechs. So many in the same part of the draw. And they were all the best Czechs. I know. I'm not sure I've ever seen anything like that happen before at a major. For several years, at the US Open, no American junior had to face another American in the first round. One year, the same held for the main draws. I complained and then, one or two Americans have to face one another. Fixing a draw is easy. All that is needed is a second little tube that will blow out chosen number balls. Easy to hide it. It is not magic. To make it honest, a number 'drawer' person would reach into a clear container, visible from all angles and with a thin glass surfaced table under the container. It has come to that. Pragmatism again. Corner cutting everywhere.